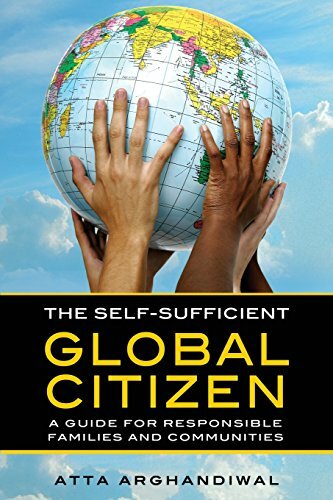 Why is THE SELF-SUFFICIENT GLOBAL CITIZEN so critical for success?? adequate funding leading to lack of global cohesiveness. himself when Russia invaded Afghanistan. · Gain valuable advice from “Atta’s Lessons,” so you can avoid mistakes. Geared towards helping people create positive change in their lives, it can be a wonderful gift to the others in your life—friends, family, as well as organizations. For those who are searching, as I was, for the answers and resources that are provided in this book, this Guide can be an important and life-changing tool. For this reason I would be truly grateful if you could help spread the word about this book. As a humanitarian, I consider this work to be one of my life’s biggest achievements, as it is a book designed to add value and aimed at making a difference in the lives of others. I hope you enjoy the Guide and find it helpful in enhancing your own life’s road map! Questions continue to come up about home ownership in America, as well as the current state of banking. The collapse of financial services and the mortgage industry not too long ago was mainly due to unconscionable deregulation in the financial sector, and lawlessness for the benefit of very few. This gave rise and further life to questionable and unethical sub-prime mortgage lending programs designed to rip millions of misinformed and vulnerable people from their hard earned income. Most of these mortgages eventually ended up in banks and financial institutions’ portfolios while trading hands in various forms of shady transactions. Take a look at the spike during president J.W Bush's era in the image above. This period will certainly serve as one of the darkest eras in home ownership as millions lost their homes and hard earned assets while the real culprits happily walked to their banks with smiles on their faces. Not many of the responsible and guilty were ever put to trial or investigated. Frankly, for many the term Homeownership merely served as a delusional and emotional terminology while “homeowners” hardly owned a significant piece of that asset. It wasn’t really about homeownership, but rather renter-ship. People were paying higher prices than the average rent rate at the time. The U.S. homeownership rate has recently fallen to a the lowest rate since 1965 as rising prices put buying out of reach for many renters. The drop is actually an extension of year-long declines from the last housing boom because of tight credit and a shift toward renting in the aftermath of the crash. First-time buyers have been struggling to find affordable properties as low mortgage rates and an improving job market spur competition for a tight supply of listings. Now, banking in general is in a much stronger/healthier position than a few years ago, thanks to an enormous influx of regulations and the hard work of Barack Obama. The biggest challenge is affordability and unfortunately home prices are rising so much faster than real incomes. This makes it really hard for buyers to save for a down payment. On the other hand, more people opt to lend rather than own while remaining fearful about potential home value declines and another possible foreclosure crisis. The homeownership rate for Americans ages 18-34 fell to 34. 1 percent in the second quarter from 34.8 percent a year earlier, the Census Bureau said. My advice is to not simply fall into a delusional homeownership trap, but rather plan properly to truly own your future home within a few years, be aware of the long term cost of investment and never carry a mortgage on your property for too long, especially past your retirement age. I sincerely hope and pray for a much better year in 2017. Not to sound negative, but 2016 was a troublesome year for humanity. Humanity witnessed some of the most brutal atrocities including mass human killings, forced migrations of millions of innocent and helpless refugees, unprecedented political turmoil/changes, and much more. Our world should be focused on opportunities to educate and serve people. Instead, we have seen clear and unconscionable human right abuses by governments and an ongoing growth of poverty/income inequalities worldwide. But, history has and will continue to prove that humanity finds ways to thrive and not give up on hopes and dreams. So, let’s do our part in light of all the challenges. What does life look like without dreams? More importantly, what are dreams without actions? I challenge you to make your dreams a reality through action. In working with large groups of people over the course of years, I have seen people fail to achieve their personal/professional goals. The question should not be about what you want to accomplish this year. Rather, ask yourself how many of your goals/targets you achieved last year. If you were not able to accomplish some of your goals/targets, ask yourself why. Instead of writing a long list of new resolutions, it may be a good idea to think of last year’s lists. Build on your previous achievements and accomplish goals you didn't have a chance to accomplish. When I first heard of the phrase “Muslim Registry,” I laughed as I thought it was a joke, but later would find out that it is actually a failed idea from the past. This “registry” is proof of our world falling victim to hate mongering, racism, bigotry and rhetoric designed to further divide America and the rest of the world. We have built America together, collectively. We have come a long way, and it saddens me that we would even entertain such possible ideas. Over one billion+ Muslims around the world try to figure out ways to get away from effects of devastating wars, massacres, forced displacements, loss of families/homelands, poverty, and uncertain futures. As a matter of fact, more and more Muslims are losing their innocent lives to heinous acts of violence and atrocities in the hands of extremists and terrorists. Being a Muslim doesn’t mean being a terrorist. There are millions of hard working and intelligent Muslims here in America. They are government officials, police officers, firemen, teachers, scientists, and entrepreneurs. Recent studies have shown that Muslim communities within America are actually amongst the safest communities. So, why are we entertaining the thought of this supposed “registry?” It simply should not exist. The incompetent, ignorant, handful of politicians and ill-informed backers are trying to further damage humanity by spreading bigotry, division and marginalization of certain religions and its innocent people. There are bigger things to focus on, and a Muslim Registry will simply not solve the major issues America and the world face. Let’s be honest...don’t you think these are more important elements to focus on than calling for a Muslim Registry? The call for such a registry does nothing to help ease or stop terrorism. A handful of terrorists and extremists, who are a common enemy to humanity, can be dealt with by proper coordination, communication and getting all-powerful nations to work together. The call for a Muslim Registry is a complete loss of decency. June 20th is World Refugee Day. Frankly, there is no need to dedicate one or a few days anymore! Wars and violence continue to force millions to flee their homelands and become refugees every day as fear, distortion, and uncertainty reign and dreams start to crumble. While decent human beings shed tears, extend hands and embrace displaced refugees, there are corrupt, vicious politicians and leader that fail to provide the necessary support and backbone. Governments sit idle and watch as if the crisis is entertainment rather than REAL human suffering. Bigots and those that are detached from humanity openly attack and try to put blame on victims as if it was the refugee’s decision to be a refugee. Time and time again there is proof that even the slightest issues within humanity become all of humanities problems. We cannot turn a blind eye to the refugee crisis. The current refugee crisis is the biggest humanitarian challenge since World War II and calls for lasting and dignified solutions. It is time for world leaders to work towards establishing peace and end lasting wars. It is only then that refugees can hope for return to their homelands and end all miseries and fears of children and their families. It is immoral to continue supporting war profiteers and flooding our world with massive weapons of destruction. Our leaders need to stand up and move towards social impact, economic mobility, and providing relief towards empowerment, development, and self-sufficiency. In the meantime, refugees and immigrants need to move towards self-sufficiency by adapting, educating one another, and participating as productive and responsible members in their new communities. Everyone deserves a second chance. This is tragic, inhumane and a clear sign of corruption. Aside from daily headlines, reading and listening to all the rhetoric, the real challenges for humanity are on the rise. But, this headline actually points to major weakness globally and not a problem of one nation only. It is the failure of all humanity; all seven billion plus. It is ultimately the ignorance of people in general who follow and allow corrupt and incompetent so called leaders to make decisions. These leaders manipulate human behavior and direction in order to fulfill their own twisted desires. The end result is a creation of powers and governments that cater to narrow interest groups while ignoring the basic needs of their citizens. We are now witnessing the direct results of disastrous politics, warfare strategies, economic and social dysfunctions. The migration crisis, modern slavery, child exploitation, mass unemployment, poverty, and income inequality are all results of poor leadership and self-interest. It is no longer okay to watch, read, and look the other way. It is our moral obligation to get engaged in all forms of non-violent humane movements to stop mediocrity and not allow evil to dominate and dictate our future. The rhetorical phrase “International Community is widely used to refer to relations involving a broad group of governments and people around the world. It suggests the existence of common ground/views towards matters involving human beings. The phrase “International Community” continues to get used the in the West and by pundits mainly to imply that the broader world is engaged, in agreement or given a chance to be a part this mythical group which manipulates us into a false sense of connection and detracts us from the real global challenges facing all of humanity. There are certain legitimate examples of the International Community at work from such actions as peacekeeping to human rights to disarmament, seeming to support the work of respected, humanitarian organizations. It is legitimate to criticize the term “International Community” due to its’ many obvious failures: lack of proper education, health care and access to basic human needs, waging unjust wars, forced migrations of millions around the world, and allowing over three billion human beings to live to live at below $2 or less a day. How does the International Community show its’ concerns for these citizens? Despite the fact that all human beings in the world are portrayed as though we are all its equal consumers and are influenced by the same tides of political, social and technological changes, in reality it is the viewpoint, desires, benefits, profits and aspirations of a handful of the powerful so- called International Community that impact so many aspects of our lives except for the majority of the world’s peoples, especially its’ refugees, turned back on overcrowded boats with nowhere to land and be welcomed as they flee oppression and death in their homelands. In light of so many conflicts spurred by the handful who profit, and In terms of the real impact on major policies, wars, occasional peace initiatives, economy, geopolitical influences, how is this helping the world’s poor? It is actually a handful of nations such as US, Russia, China, UK, Germany, France, Japan, Canada, India and Brazil who lead this “International Community” as they profit from their exploits. The most logical and fitting manner to describe and establish better understanding of this so-called International Community is through a sports analogy. What should a true International Community look like? It is actually the moral obligation and collective actions of all spectator nations to realize the immediate and long term challenges by their citizens not be victimized by decision of an affluent handful. Focusing on basic human values and priorities in health care, environmental issues, more democratic political systems without the taint of money, and a strong commitment to peace should become the new norm for all nations by improving standards of living and creating opportunities within true spirit of solidarity and common human needs. More importantly, it is time to look for a new title that will give us a more honest meaning that embodies the essence of true World Community in more than just name. Tune in to this episode and recieve useful tips and insider information on what it is like to be an immigrant. I explain first hand the problems that immigrants face, then I go one step further by giving proven tips and strategies that can be used by all immigrants. No, I thought, we are living in one of the safest and most comfortable places on earth. And in August of 1980, there I was, running away from one of the safest spots in the world—a top tourist destination—while watching Russian soldiers take over the streets of my birthplace. I left behind a huge family, my friends, and my beloved peaceful country. It was the most distressing and horrific feeling of my life, and I was filled with anger, disappointment and betrayal. On August 20th of 1980 I had made it to Frankfurt’s international airport and found myself standing in front of a German police desk, seeking asylum. Yes, another victim like millions of others who had nothing to do with the conflict and had no intention of leaving for unthinkable and unfamiliar territories. While riding a bus towards Shoenick refugee camp, I realized that it wasn’t just me (an Afghan) but faces of various nationalities. I recall mutual sad expressions and feelings of disgust and anxiety. I was however more interested in talking to a fellow refugee across the aisle, who looked of Asian descent. I struck a conversation with a “Hello” and asked, “Where are you from?” I was overcome with a feeling of curiosity, recalling the image of the Vietnamese boy running from war. It is also important to remember that none of these victimized citizens have had any capability of producing armament—but natural resources such as oil, mineral and other goods. These victims have been immorally manipulated to exchange natural resources for modern weaponry and use against their own citizens throughout the course of modern history. The majority of casualties are the innocents. In World War II, 65% of the dead were civilians; in more recent decades—the Vietnam, Afghan and Iraq wars—90% of casualties have been civilian deaths. These wars have and continue to destabilize the world, while sending millions into mental despair and exile away from their homeland. Terrorize, oppress, kill, dominate, destabilize communities/countries and bring the worst in humanity. Wars do nothing but bring misery, corrupt minds and demonize. War is a Loss of Decency. I will never forget this statement once made by a single mother of three who was forced to leave her native land. I had no time to sell off my property, plan my finances or leisurely depart from my homeland that summer in 1980, when Afghanistan became a front-line against soviet invasion. In some cases, you have kids whose futures you lose sleep over, or your parents to take care of, and there is no other option to protect them but to leave your homeland in the hopes of finding and building a future life somewhere else. In others—you choose to protect your child from danger by sending them away, without adult protection, in hopes of seeing them find a safe haven. Somehow, when you are far away from home and lonely—you are considered a lucky one. You’ve arrived in a new environment without knowing anyone or the language. You can’t really go to school because you have no money, so you have to just find a job ASAP to get the money for you and your family. You want to work--but where do you start? The words refugee/immigrant and immigration are heard and talked about in every corner of the world today. Laced with pre-conceived meaning, they are words that continue to bring new, unforeseen challenges with the arrival of every new group to a new country. While migrations have been a part of human history for a long time, immigrants play an increasingly major role in the complex and uncertain process of overall changes taking place in the world. The global issue of the non-voluntary movement and immigration of people is one of the most pressing and uncertain challenges facing humanity. Eruption of conflicts and wars continue to give birth to short-, medium- and long-term political, social and economic disorders around the world. As a result, increasing numbers of migrants undertake dangerous and uncertain journeys by land and sea to reach Europe and North America to escape this chaos, while these countries struggle to deal with the influx of millions—on top of enormous financial challenges at home. Frankly, it is impossible to cease, control or prevent the movement of masses taking place around the globe. Receiving countries like the US and Canada have done a much better job in finding effective means to facilitate a safe and dignified re-location and integration of immigrants. Canada and Australia have been particularly effective while leveraging the enormous talent, technical skills and entrepreneurial spirit of immigrants. Providing early incentives (Language classes, business/entrepreneurship, government and local state loan subsidies) has proven extremely effective in successful integration of immigrants in the last two decades. Several other countries have failed to effectively deal with proper integration of new arrivals. This is particularly true for European countries where new arrivals spend years within segregated areas and confinements: dormitories, former military compounds, or housing units diverged from the rest of the city or remote village. Thousands of families continue to be deprived of basic schooling, job training/opportunities, and any chances for successful integration within their new environment. The majority of immigrant children spend the important developmental years growing within compounds of unhealthy, prison-like conditions with limited access to school and advanced education. Some of these young adults continue to fall prey and join extremist groups, for little pay or out of sheer frustration and lack of opportunities to assimilate into productive members and future citizens of their host nations. The United States and Canada continue to attract more refugees for resettlement than all other countries combined—and have done a great job in not only welcoming refugees/immigrants, but continuing to provide great opportunities for smooth integration within a new environment. However, opportunities for many refugees and immigrants during this critical period of transformation in the United States are dwindling. This is mainly due to a lack of strict policies/comprehensive reforms combined with enormous cuts in funding of early language, schooling, and other early job skills development programs. There are, for example, inconsistent policies governing criminal activities amongst state and federal agencies in different regions with regards to detainees; this is combined with a huge absence of public defenders and resources for rehabilitation. It is not entirely surprising that new research indicates second generation immigrants in the U.S. are more likely to commit crimes than their foreign-born parents. The main reasons are attributed to the second generations’ lack of proper education, financial stability, proper parent supervision as well as access to afterschool activities. In light of the evolving global context of conflict and forced migration, displacement—highlighted mainly by the Middle East crisis—will continue to present new challenges in the years ahead for the European Union and North American nations. The terrorist event of 9/11 combined with fresh attacks of political violence in European cities has created another dimension and challenge for immigration policies; this climate of fear and uncertainty has shrouded the process of stopping and distinguishing between economic, social, family integration, and the entry of extremist religious groups. So how do we achieve more consistent, high-quality decision-makings for asylum seekers? How do we—a nation built from immigrants—establish a strong base for future action? I will argue Education is the first priority, followed by the establishment of uniform strategic guidelines on asylum; what’s more an increased engagement by the international community for practical cooperation, strengthening, implementation and consolidation of these existing laws. From the terrifying moment our plane left Afghan soil and entered the Iranian airspace on August 20th, 1980, I promised myself that if I lived through the ordeal I would recount my story in a memoir and share my personal journey, experiences and impressions of an Afghanistan that is often misunderstood and discounted. My memoir is a true account of the Afghanistan I knew and recently visited again since my departure nearly 30 years ago. It is the true story of the Afghan people that has never been truly portrayed. The Afghanistan I grew to love as a boy; its rich culture, social dignity, and proud heritage has been forever scarred and betrayed by 40 years of foreign aggression, missed opportunities and ultimately the “loss of decency.” Countless historical perspectives chronicle Afghanistan’s journey towards the 21st Century and I am neither meant to provide a historian’s perspective nor represent a political agenda. With the encouragement of friends, family, educators and respected authors I have written my memoir, which revolves around my passion for Afghanistan, my obligation to rescue as many of my family members as I could; my pursuit of a “home away from home,” as a refugee and my need for “truth” and “transformation” as I continue to watch and hear suffering and misunderstanding in and about my native land. My objective in writing my memoir is to “set the record straight” from a social and anthropological perspective. Afghanistan was once a peaceful and prosperous society with a unique and vibrant culture at the crossroads of Central Asia. Today, the lasting impact and the forces of change that has shattered her progress are at the heart of understanding what Afghanistan can be again. I am proud to have written a book that not only details true eyewitness accounts of the modern social history of Afghanistan, but also provides a story of unforgettable determination, courage and perseverance. My life today has been shaped by these events and as successful financial services professional and a leader in the Afghan-American community, I wish to share my depth of experience to ensure that the sacrifices of generations past have not been in vain. Perhaps if my work is read; these last four decades of war, uncertainty and violence will not erase the beauty of a culture that spans more than 1,500 years for generations to follow. In order to validate my opinions and provide a timely retrospective of the events that have shaped the current social landscape, I recently returned to Afghanistan and found a genuine sense of frustration and despair that left me greatly disturbed and in fear of the future. There have been so many unrealized opportunities and misguided policies that the country may never experience the peace and prosperity it richly deserves and that we have “all” been fighting for. Rampant with fraud and deceit, the nation teeters on a precipice…at the crossroads of “what is” and “what could be.” My work is at the leading edge of Afghanistan’s current crisis, and is not only a “look back” at what “once was,” but also a “wake-up call” to what “is.” Perception is not always reality, and reality is not always obvious. My story uncovers the myths and provides a living truth about the country I love. A friend had sent me the cartoon above, which made me think about the various impacts holidays have on all of us. When it comes to holidays, I do think Immigrants are more spoiled than others. This, of course, is due to the fact that they have the opportunity to enjoy plenty of new holidays on top of their existing traditions. But, with endless holidays throughout the year and the increase of financial burdens, holidays (nowadays) can lead to bad things. When holidays come around it is a good time to regroup and take conscious steps towards avoiding unnecessary pressures and anxieties. Holidays, after all, should bring joy, harmony and a genuine feeling of Gratefulness. What is most important to you and your family during the holidays? Who are the best people to spend time with? Some are very close family and friends, but how about reaching out to those you have been away from for a very long time? What is an appropriate gift item? What impact will the item have on the life of the potential recipient? Will the gift empower the recipient to lead a better life? How about doing research on what a potential recipient truly needs? Are you compromising your physical and mental health to just impress others during the holidays? Are you willing to avoid big feasts and instead allocate food to the needy? Have you saved enough? 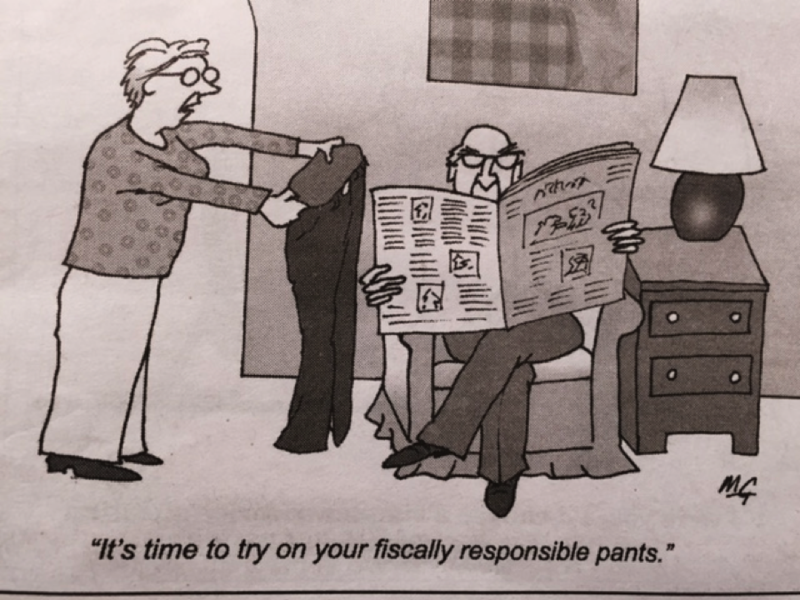 Or, do you plan to borrow in order to impress others? Are you thinking of the financial obligations in your life (education, retirement, etc.)? Do you have a list of charities you can give to? What are your expectations during big holiday gatherings? Do you plan to avoid noise and instead interact more with family and loved ones? Are you ready to shut down and collect all electronic devices during family/social gatherings? I honestly believe it is very rude to see so many children and adults face down glued to their phones during gatherings. Do you have clear plans for carrying your best wishes and messages? Do you plan to allow children to participate in discussions, storytelling and reflect on what holidays/gatherings mean to them? Lost Decency: The Untold Afghan Story is aptly named. In this memoir, Atta Arghandiwal links his personal history with the history of Afghanistan from 1959 to the post-9/11 era. He attempts to show how war and the upheavals in government affected his family, the country, and the people of Afghanistan. This assessment becomes most evident when the author returns to Kabul years after his immigration to the US, looking for the beautiful place and people he remembered. He finds that his former country has lost its self-respect, the respect of the world, and its “decency.” These losses are Afghanistan’s untold story. Lost Decency gives a sweeping view of Afghanistan’s history punctuated with the writer’s insights, but the story comes alive whenever Arghandiwal focuses on his own experiences. As a boy, he accompanied his father, a military liaison, across the Oxus River into the Soviet Union. This experience and his later work in the Afghan military provide Arghandiwal with insight into the nature and reality of military-industrial power. He also describes his home and family life in the ’50s and ’60s, emphasizing the peace and harmony of his everyday routine in the melting pot of ethnic groups in his Kabul neighborhood. The contrast between public power and private peace is an abiding theme of this work. As in all life stories, chance and coincidence play a definitive role. After his father develops a heart condition, Arghandiwal is sent to English language school to help support his family; his education subsequently results in other opportunities in Afghanistan and the US. Arghandiwal and a friend plan to leave Kabul on the very day in 1978 when a military coup plunges the capital into chaos. An officer he knew while in the military becomes a key government official after the coup, and this chance connection assures Arghandiwal’s continued employment under the new government. Arghandiwal’s prose is especially effective when he renders particularly emotional or dramatic moments, like the entry of Russians into Kabul or the tense minutes before his plane takes him out of the city. As the writer is neither a historian nor a journalist, a careful reader will question the accuracy and source of his statistics and political analysis about present-day Afghanistan. Regardless, this twenty-first-century immigrant tale reveals the faces behind the headlines, those with the courage to choose to leave the familiar behind in search of a better life. Memoirs must be a certain length? Thirty years after having to leave Afghanistan, my native land, I felt inclined to write about what was once known as the darling tourist destination of Asia. After many years of establishing my career and securing a good life for my family here in the United States, I wrote Lost Decency -The Untold Afghan Story. In writing my memoir, I also took on the path of self-publishing by taking various courses, which helped me develop a project that became a labor of love, crafted carefully and authentically. I had been apprehensive and frankly shy about talking about myself as I wanted to focus on the plight of Afghanistan. After considering creating another historical opinion piece, I decided it would be better to write from first-hand experience. This approach engaged my natural storytelling abilities and enabled me to communicate with a sense of pride and passion for the innocence of a country caught in turmoil. The decision to write in first person was certainly one of the best decisions I have made in life. I became more and more interested in writing, asking questions of my mother and sisters to validate certain events. This helped me further appreciate the joy of writing authentically about my roots, the family I dearly loved who lived an honest and decent life in what once was our dear Afghanistan. Then came the request I never anticipated. The first manuscript was 135,000 words in length, and my editors advised me that memoirs were typically much shorter. As a first time writer I was stumped as to what to say or do next. I tried to convince them to keep my writing details intact but was told that I must shorten it or consider publishing two books. I realized that I did not have time and resources to consider a second book and reluctantly started to trim my writing. I felt sick to my stomach as I tried to take a way so many valuable details and at times just thought of giving up. But I had already set a goal for myself with my family and did not want to let them down. It was all worth it because my book Lost Decency - The Untold Afghan Story once published, ultimately became a finalist for IBPA’s first year Benjamin Franklin Award. Readers contacted me and expressed a desire to learn more details about certain stories contained in the book. I have noticed quite a few powerful memoirs that contain more than 100,000 words. I would appreciate hearing your viewpoints on the appropriate length of a good memoir. Also, what kind of stories would compel you to invest more time reading a lengthier work? A fascinating read but truly scary thought surrounding vulnerability of Nuclear Weapons. I honestly believe it is time for Humanity to learn about the unnecessary waste of enormous economic resources and demand of their governments to shift focus to basic needs of their citizens. The first big question to ask "Can a single country (even the smallest) afford a Nuclear bomb explosion without devastating global impact? Granted the size of today's atomic bombs are 10 times larger than the ones used in Hiroshima. If the answer is NO, then why are we allowing billions into waste only for sake of Intimidation and Scare Tactics at the cost of massive human needs? More to follow soon.
" I am delighted to share the exciting news about availability of Immigrant Success Planning as well as Lost Decency through all major outlets to include Barnes & Nobles, retail stores, airports as well as other independent books stores. both books are already available through Amazon." Effective immediately, Midpoint Trade Books is now the distributor for independent hybrid publisher, Influence Publishing. As a result, Influence Publishing will no longer be working with Red Tuque as our Canadian distributor. Influence Publishing focuses on titles geared toward influencing positive change in the world. These titles include MORE- A New Philosophy for Exceptional Living by Alyson Jones, which received the 2014 Indie Excellence Book Award in the Well-Being category, and Lost Decency by Atta Arghandiwal, which received a Benjamin Franklin Award. Upcoming titles include Conversations With a Rattlesnake by former NHL hockey player Theo Fleury and world-renowned therapist Kim Barthel, and Baby Comes Home by Dr. Paul Roumeliotis, an expert in childhood health.